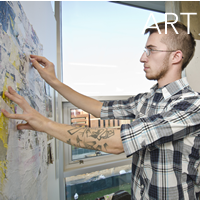 The visual arts and design at Ohio State are broad-based, and at the forefront of developments in contemporary aesthetic thought and practice. They provide dynamic opportunities for study, research, experimentation, community engagement, international connections, interdisciplinary partnerships and art-making. Our faculty of accomplished, professional artists and designers celebrate the production, examination and evaluation of the visual arts and design as people-centered enterprises, embracing diverse viewpoints and expertise to create a rich environment for creative study. Galleries on campus and in downtown Columbus offer opportunities for students to exhibit their work, and serve as arts laboratories to help individuals gain hands-on curatorial and exhibition experiences. These venues also showcase the work of faculty, visiting and community artists and offer engaging spaces for community outreach. The Advanced Computing Center for the Arts and Design (ACCAD) is a collaborative think space, a place to make, create, imagine and above all connect, with its research centered on the use and integration of emerging arts technologies. 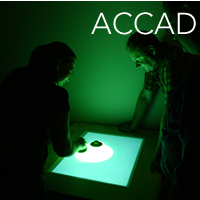 ACCAD has become internationally recognized as one of the original and leading centers of its kind, and serves as a creative hub for scholars and practitioners of digital arts and sciences. The Department of Art is a nationally ranked program that nurtures creative expression and teaches undergraduate and graduate students to develop as autonomous artists through traditional and new media. The mission of the department is to champion the value of the visual arts in the cultural and intellectual life of the university and contemporary society. 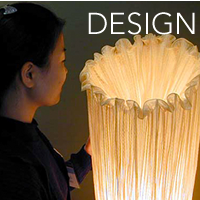 The Department of Design is dedicated to purposeful, systematic and creative activity. Designers give form to products, spaces and messages. Their designs involve the analysis of problems, the transformation of findings into solutions and the expertise to devise compelling visual forms and to advance applications of new technologies in our lives.